Thriller author K.J. 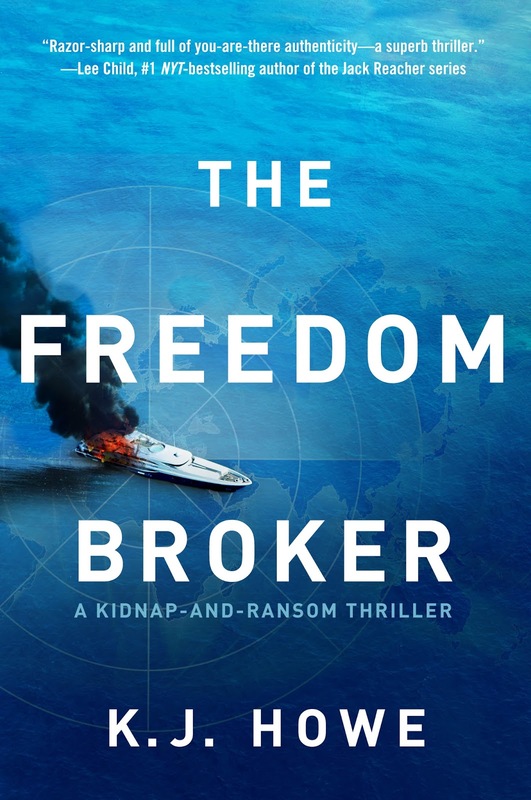 Howe joins me today to chat about her new novel, The Freedom Broker. K.J. 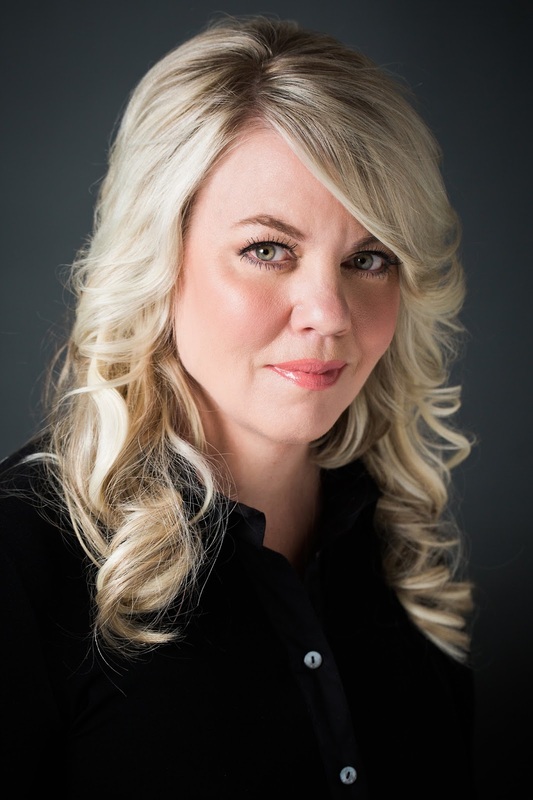 Howe is the executive director of ThrillerFest, the annual conference of International Thriller Writers. A three-time Daphne du Maurier Award winner, she completed her MA in Writing Popular Fiction at Seton Hill University. She is an avid traveler who has raced camels in Jordan, surfed in Hawaii, and dove with the great whites in South Africa. She became fascinated by the kidnap and ransom (K&R) world after meeting Peter Moore, a British computer consultant who became the longest-held hostage in Iraq and the only person to survive of the five men who were taken that day. Welcome, K.J. Please tell us about your current release. The Freedom Broker features elite kidnap negotiator Thea Paris in the toughest case of her life. She has a special client: her father. This is the first book in the Freedom Broker series. I’ve researched kidnap and ransom for the last three years, interviewing kidnap negotiators, former hostages, reintegration experts, K&R insurance executives, and the Special Forces soldiers who deliver the ransoms and execute rescues. I hope readers will learn about the world of kidnapping while reading The Freedom Broker. The actual name for kidnap negotiators is “response consultant,” but I didn’t feel that was as compelling as it could be, so I created the term “freedom broker.” The experts that I’ve interviewed seem to like it. Born in Canada, I consider Toronto home, but I had an eclectic upbringing, as my father worked in international telecommunications. We lived in the Middle East, Africa, Europe, and the Caribbean, and I enjoyed learning about different cultures and countries. Always the new kid, I adored the escape that books provided. Passionate about thrillers, when I read David Morrell’s Brotherhood of the Rose and Lisa The Perfect Husband, I thought—wow, if I could ever provide the kind of wonderful escape these talented writers did for me to someone else, then it would be a dream come true. I found kidnapping absolutely compelling, as it is a purgatory of sorts—you’re alive, but you’re not really living. Instead, you’re dependent on your captors for everything, completely at their mercy, waking up every day not knowing if it will be your last. It’s a horrible existence, testing the hostage’s mental and physical stamina. I met former hostage Peter Moore after his almost 1000 days in captivity, and his experience touched me deeply. With over 40,000 reported cases of kidnapping a year, it has become a serious issue. I hope to bring awareness about the many hostages who are still being held in captivity, and I’m also speaking about travel safety at different venues to help prevent people from taking unnecessary risks while abroad. I was fortunate to sign a two-book deal, so Skyjack will be the next Thea Paris adventure. Thea is shepherding two former child soldiers from Africa to London when the plane they are on is hijacked. The adventures kick off from there. The novel features secret stay-behind armies from WWII, the Sicilian Mob, the CIA, and the Vatican. Warning: do not read it on a plane. I’m also researching future Thea Paris novels, as I have many rabbit holes to explore in the world of kidnapping. I enjoy visiting the locales where I set the stories, so I can bring authenticity to the settings. Travel and adventure are my passions, so it’s no hardship to spend time abroad. I’ve been a medical writer for many years, but I always wanted to make the jump to fiction. I wrote my thesis at Seton Hill University, and the story featured a female sniper. The book is in my drawer, as I feel it has some structural issues, but the character I created will be joining Thea in a future book. No words are ever wasted! In addition to being an author, I’m the executive director of ThrillerFest, the annual conference of the International Thriller Writers, a not-for-profit organization that supports thriller authors. You can learn more about the event at www.thrillerfest.com It’s a fun and friendly event, and I hope to see you there. I write in the mornings, as I find my subconscious is still active and relaxed, allowing me to be creative. After that, I delve into the more administrative and logical tasks. I also try to escape to the tennis court whenever I can. I’m a research junkie. I live and breathe it, and the things I learn help propel mu novels. I truly want to know the ins and outs of everything I write about whether it is breaking into a hotel safe or hanging upside down on a zipline. Actors often use method acting. I like to have fun with method writing. A writer. I loved to read, and I always wanted to write. But I felt like I had to find something practical to do, so I worked at many other jobs on the way to realizing my dream. I feel that the more life experience you have, the more textured and layered the books. I adore sports, travel, and adventure, which dovetails well with writing international thrillers. Visiting the locales that I include in the book is critical, as I like to bring the sights, smells, and sounds of the locations to the reader. When I travel, I seek out adrenalizing activities and opportunities to learn new things, seize every moment and enjoy it. Here are my links for Facebook, Twitter and LinkedIn. Thank you for being a guest today! Thank you for having me on the blog. I appreciate your thoughtful questions and kind interest in my writing.